Lucasfilm make movies. Lucasarts make games. 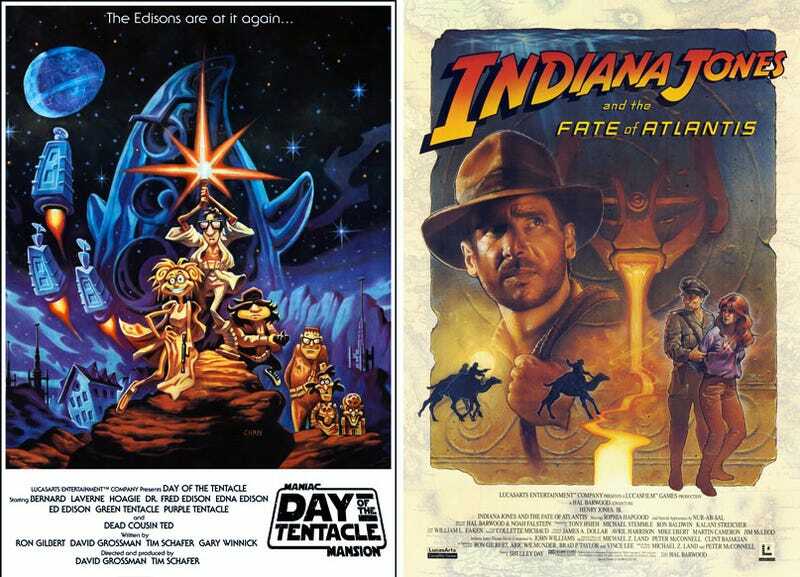 Rarely do the two ever actually meet, but today, they meet in these fantastic mock-ups, showing what Lucasarts games would look like as movie posters. Some do little but stretch the game's cover art out into movie poster dimensions. But others? These Day of the Tentacle and Fate of Atlantis re-workings are bringing tears to our tired, mean eyes. You can see the lot of them - including posters for The Dig, Monkey Island and Maniac Mansion - below. Best part? Most include full-size, print-quality versions.